So today I went to two of the good will stores and found a few things. First I didn't see anything and then I noticed the bin of stuffed animals. I thought they got rid of the stuffed animals because it wasn't where I normally see it. So as I went through it, I asked one of the worker bee's if they saw any Figment's come in and the lady said she did and helped me go through the bin in case someone put it on the bottom...it was gone. We talked as we went through the bin and I found out a.) she knew who figment was. Normally a lot of people don't, and b.) she's a Disney fan. She also said she'd keep an eye out for figment and hold on to him if she can. ooo. There's hope. 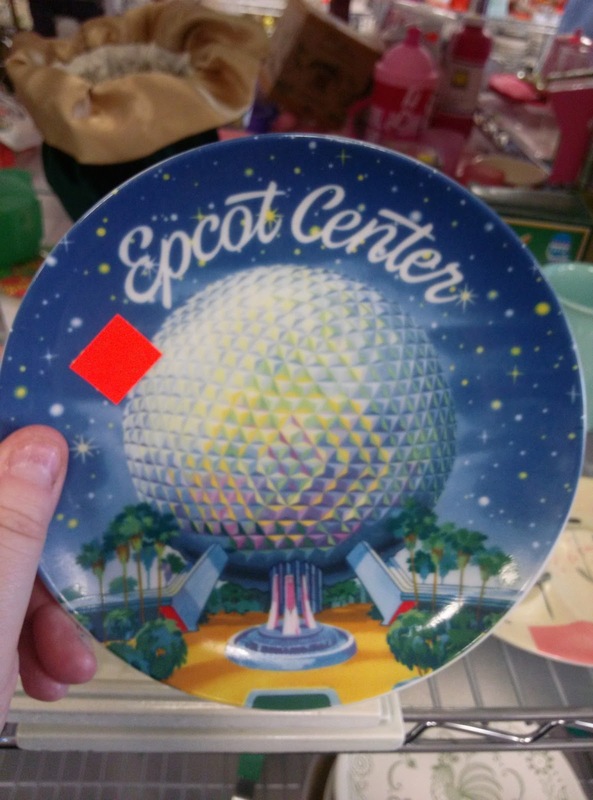 I never seen an Epcot Plate before. So I was thrilled. 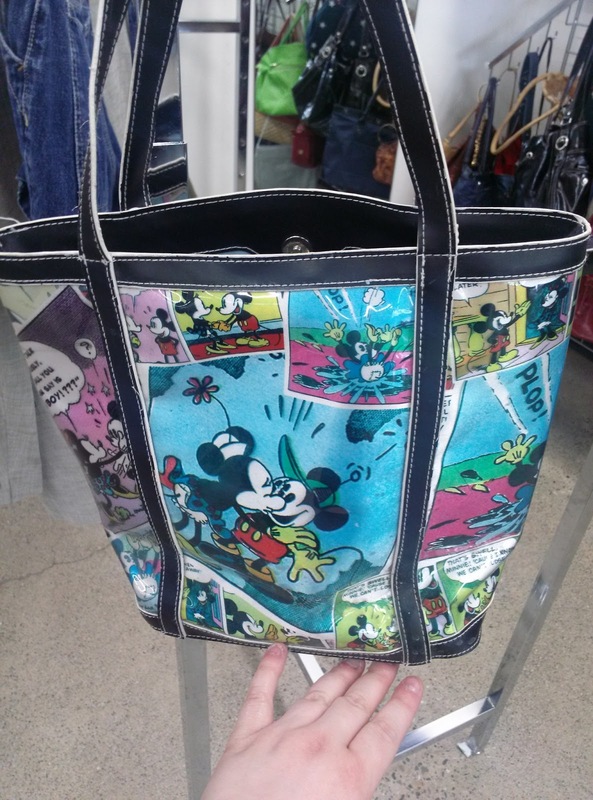 I also found some thing non-disney which was something Mike Wolfe of American Pickers would probably buy... lol. But since it's not Disney I'm not going to bore you with it. lol. I then exited and went to the next Good Will where I found 2 Disney Items and a mug for my dad even though he has the same mug. (Explanation is at the bottom). First is my new bag...I love it. 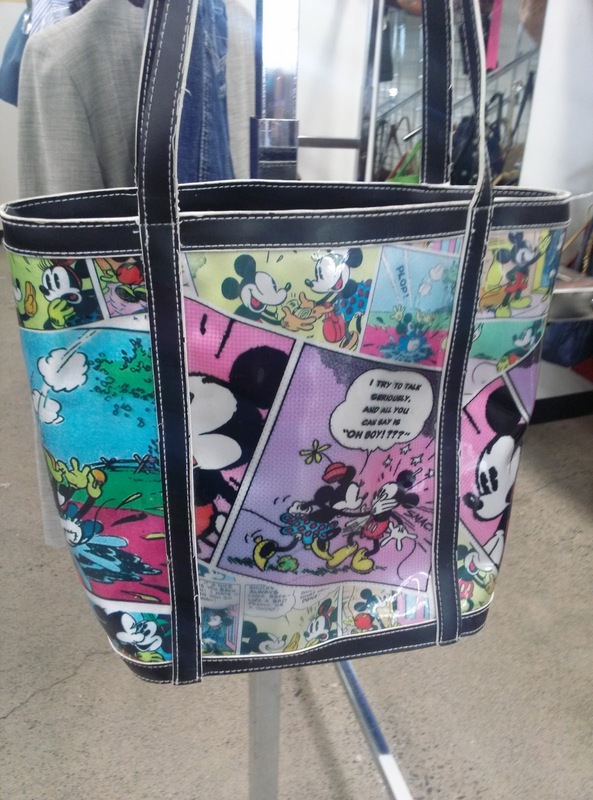 I remembered the last time I saw a cool Disney bag I passed up on and I still regret it to this day so I didn't pass this one up. I totally totally love it. lol. 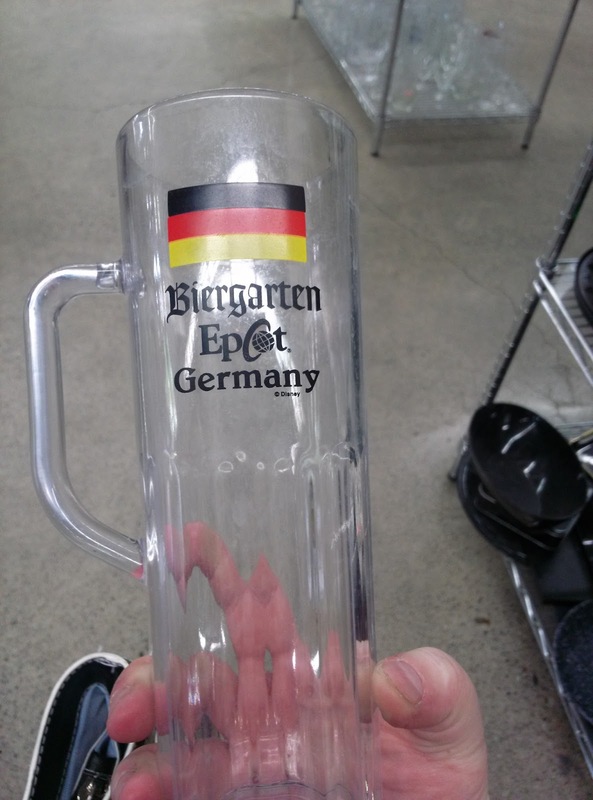 The second Disney item is an Epcot cup from the Germany Pavilion Biergerten Restaurant. It's a beer glass/cup. oooo. Okay. Explanation why I bought the exact same mug my dad already has 2 of. lol. The Mickey Bag was $7.99 and the Epcot cup was $0.99 and the mug was $0.99. I had a $10.00 savings coming so I got everything for only $0.70 because I bought the mug. I spent hours looking for something to buy so that I could get the bag for less.